Last Thursday, students in 6-12 writing began outlining their speeches. When the students presented their “40 Chances” speeches earlier in the term, I made notes of common areas where students struggled. Organizing seemed to be at the top of that list. The following covenant was handed out at book club on Thursday, January 21st. Welcome to the club! I personally want each of you to know that I value your participation and your unique contribution to this club! The purpose of this book club is to be an avenue for you and your peers to explore good books, discuss the larger themes and ideas contained within those books, and that you will also find encouragement, accountability and enjoyment through your participation. We will meet weekly, for the duration of the semester. Commitment: I will continue to attend even if I don’t like the book we are reading at the time, and especially if I haven’t read for the week, because I can still gain something from listening to the discussion. Being Prepared: I will try my best to keep up with the reading assignments. If I am struggling, I will ask for help from my group or Mrs. Johnson. Being a Good Listener: I will show I am listening by looking at the person speaking, asking questions to better understand, and waiting to speak until the other person is finished. Being a Good Speaker: I will share my ideas and contribute to the conversation. Respect: I will respect other people’s ideas and build on those ideas to further the conversation. I will stay on topic and try not to distract the members of my group with unrelated topics or conversations. Accountable: I will be accountable to my peers, as well as to Mrs. Johnson, that I will try my best to stay on track with the reading and on task when in my group. I have read the above covenant and agree to participate in accordance with these guidelines. Failure to respectfully adhere to the terms contained herein can result in my removal from the book club. Here is a link to a site that has some great “Why didn’t I think of that!” activities to practice fine motor skills! Many kids on the autism spectrum struggle with uneven gross and fine motor development, but they are not the only ones! 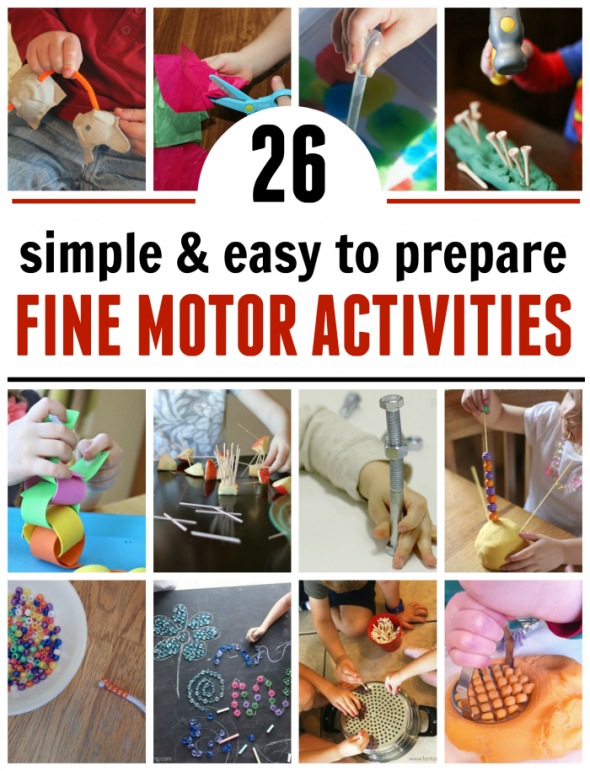 Kiddos can experience difficulty with fine motor skills for all kinds of reasons! If your son or daughter has a hard time gripping a pencil, it may be indicative that he/she could use some practice with fine motor activities like these! Keep it simple. Keep it fun. The results will come. I recently had a friend ask me if I had any suggestions for enticing/encouraging her sons to read more. My friend knows her sons CAN read well, they just don’t choose to do so, not even when bribed with money to buy more LEGOS. I started out my response to her by addressing the matter of currency. “Currency,” as it has long been used in our home, is anything that entices or encourages your child to do a less-desired activity. For example, when my oldest son was learning how to communicate through picture exchange, we knew he would do just about anything for an M&M. When J handed me a picture indicating, “I want…” then I happily handed him an M&M. He would scour the page of picture squares until he found the card for Blues Clues and when he handed it to me, I would praise him, hand him another M&M and immediately turn on the Blues Clues DVD. Any parent who has used animal crackers, Fruit Loops, or skittles to encourage your child to use the potty roughly understands the concept of currency. Let’s be clear that currency doesn’t have to food either! Currency can be time spent doing an activity together, time spent watching a show he/she loves, or even money can be your child’s currency. Once you have identified their currency, you can adapt a plan to use it as a reward to get the behavior or action you desire. My friend wants her children to read more. Simply paying children for books read might not be a practical solution for you and in my friend’s particular case, that didn’t seem to be working. First, consider rewarding time spent reading rather than books completed. This breaks the task into manageable pieces, especially for reluctant readers or readers who struggle. Second, define a daily goal or expectation for reading, and then work toward a long-term goal. This not only teaches your child the value of being faithful in the small things, but it also teaches deferred gratification. A great example of this strategy can be found in any local library summer reading program. They almost always have students read their way to larger goals. The daily reward may be a sticker or stamp on a chart, but the larger goal is the prize at the end of the month when all of the stickers or stamps have been achieved! Here are a few more ways to use currency and creativity to help your child read more frequently. Marble jars are great tools because they have a tactile element and a visual element. Kiddos who love to wiggle can’t wait to earn their marble so they can take it to the jar and drop it in! When so many marbles have been earned, a larger prize is awarded. A variation on this theme would be use clothespins on a strip of felt or a laminated chart hung vertically. When the child has done their reading for the day, they get to move the clothespin over to the other side of the chart, or even just return it to a pocket at the bottom of the chart. The child knows they have earned their reward when all of the clothespins are relocated to their “Done” location. Sometimes kids need more than just a visual incentive to read. Kiddos who struggle with trying new things or have perfection issues that prevent them from even getting started may not be motivated by marble jars or clothespin charts. For these kinds of learners, I like the idea of giving them controlled options that give them a safe sense of choice that also encourages variety. For this option, you can write different reading activities on the popsicle sticks and have them in a jar for the child to choose from when it is time to read. 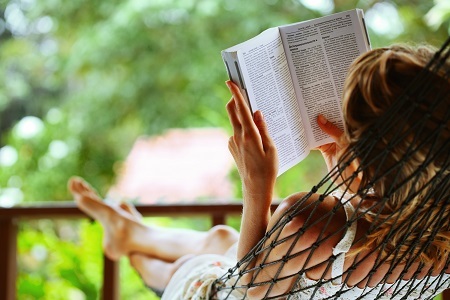 Options may include “Read a story to your younger brother,” or “Read inside of a blanket fort.” One of my personal favorites is the “read outside,” or when my boys were young, “Read outside in your tree house.” Changing up how they read and where they read may be the perfect motivator for some children. Reading Bingo is also a great way to encourage kids to read a variety of genres or even just to see reading a new light. For instance, squares in Reading Bingo can include “Read a magazine article,” or “Read a recipe out-loud to mom before dinner.” Teach children to read from a variety of genres by using options like, “Read poetry by Shel Silverstein” or “Read a non-fiction story.” The idea is to give kids choice when it comes to how, where and what kind of reading they do. Not all children are motivated by external currency. Sometimes, all the currency they need is for us to notice their accomplishments. The idea of a brag board can be used on its own, as well as alongside any of the other ideas provided here. Brag boards allow kids to share what they have done with everyone in the house! Cut out shapes (or purchase pre-made die cuts from school supply stores or even the office section at Wal-Mart) and have the child write the reading activity they did and for how long on the shape. Create a special place to display the brag board. You can use your refrigerator, a hallway, the back of the door in the mudroom, or even the child’s bedroom door. Make sure to tell the other members of the family to “Check out what J did today” so they can all have a chance to encourage your child to keep reading! On a final note, I implore you to model good reading habits. Let your kids see you reading and make reading a priority in the house. Even after kids can read to themselves proficiently, reading to them at bedtime or in the afternoon can be time well spent together. Hearing you read teaches them to read fluidly, with expression and inflection. Auditory learners may enjoy reading more when someone reads to them, as opposed to always reading silently to themselves. Reading together also gives you the opportunity to talk about the book, the characters, and the situations presented in the book. In a world filled with screens and sound bites, encouraging meaningful time together reading can be a priceless gift to give to your children. I will be uploading printable reading bingo boards, and charts as well as lists for popsicle sticks soon! Stay tuned! Thanksgiving is just around the corner! For home-educators, like myself, this time of year can be filled with all kinds of mixed emotions. On the one hand, I am thrilled that the cooler temps and calmer schedule make for a more focused crew of little learners at the kitchen table each day. We seem ultra-productive, as the cold weather keeps us indoors, lessons spent snuggling under a blanket dominate the days, and reading reclaims the top-spot on our list of favorite ways to pass an afternoon! Ironically, as the holidays loom, I feel tempted to give away entire days to cleaning, shopping and preparing to host family for large meals and celebrations in the days and weeks ahead. What a better way to keep us focused than to shake up our lessons with themed mini-units that tie into the season or to titles that have captured our interests. The perfect place to go for these mini-units is homeschoolshare.com. For starters, its all FREE, and the content is outstanding! I have relied on these supplemental lap books and units for over 5 years to help keep my kiddos interested and learning! (I swear this is not an advertisement!) They even have a calendar of activities that highlight historical, cultural, literary and scientific milestones throughout the year. Click here to check out the December calendar. One final note: I recently came across this link on Pinterest. I know so many people who own the box set of Magic School Bus DVDs (myself included) or who have Netflix subscriptions. These lesson plans could be just the thing to help turn those DVDs into more than just passive TV time! Now if I could only find the same kind of plans for Wild Kratts! We all have our own definitions of “Winning,” but for me, it’s all about getting dinner made ahead of time! We are exceptionally busy this week, so make-ahead meals are the perfect go-to to get everyone fed without sacrificing health, flavor or the budget by eating out. Today, I made a delicious spaghetti salad that came together quickly with some leftovers from the refrigerator and the pantry. Because this recipe is so adaptable, feel free to improvise with whatever you have on hand. * Mix all ingredients into a jar with a lid. Shake vigorously to combine well. Season to taste with salt and pepper. Store any remaining dressing in the refrigerator. * Combine all of the salad ingredients in a large bowl. I recommend tossing them a bit before adding the dressing, but you will toss them again to ensure that the dressing is well-distributed, too. Refrigerate for at least 1 hour to chill and let the flavors marry. What does my “habitual focus of attention” say about who I am? Where is my attention focused? On the internet? On Facebook? Probably. My husband and sons have gone out to see a movie for two hours and I pace around the house as though I have never been here before, utterly lost, rudderless. I troll the internet, some for work, other times for fun, each time seeking a kernel of validation for my time spent. Upon reflection, it occurs to me that where my attention is NOT focused is on God. Uh-oh. During my morning run today, in spite of the beautiful sunrise, a mild summer morning awakening around me and the classical music streaming into my ear from my IPhone, I had no focus on HIM. I had not a moment of thankfulness for the ability to get up and run, not an appreciation for the mystery of creation around me, and no fleeting second of contemplation asking what HE wanted me to do today? Why? Why? The answer is that I am afraid of what he might say. I have grown tired of waiting for him to make a life for me (the kind of life I think I should have, I might add)…so I am instead trying to make one for myself, stubborn fool that I am! What if He tells me to be still and wait. No, I have anesthetized myself to the din of my constant state of rush; the hum of my own perpetual busy-ness, epitomizing the grown-up’s version of fingers in ears chanting, “La, La, La…I can’t hear you” to a Creator who has hardwired his own private entrance into my heart and my head. The message isn’t a comfortable one! “Let go of the anger,” He demands. “Forgive more,” He encourages. “Stop asking the world how you are doing, and start asking Me.” That’s a tough one. I am heartened to remember that God doesn’t require us to be perfect, just willing. I am so busy trying to be perfect that perhaps, I have become unwilling, as well. Thankfully for me, every day is a new day to start over again. But he said to me, “My grace is sufficient for you, for my power is made perfect in weakness.” Therefore I will boast all the more gladly about my weaknesses, so that Christ’s power may rest on me. -2 Corinthians 2:9. In a food processor (I use my Ninja with the mixer bowl), combine the rice cereal, oats, and protein powder. If using all rolled oats, I recommend pulsing them a few times first to cut them up slightly. Pulse the dry ingredients together to combine. Add the syrup (or agave), the peanut butter, vanilla and salt and mix well. The batter should be sticky and hold together when pressed between your fingers. Add more peanut butter if the mixture appears too dry. Lastly, add the chocolate chips and pulse briefly to distribute the chips in the batter. If you are going to make them into bars, use a 9 x 9 baking dish, lined with parchment paper and press the mixture evenly into the pan. (You can wet your hands lightly to prevent sticking.) Place the pan into the freezer for 2 hours to freeze before slicing into 8 bars. Bars can be stored individually in plastic bags and kept for up to a month in the freezer. Thaw slightly before eating. If you want to save time and make them into peanut butter cups, I recommend lining a muffin tin with paper liners. Using a large scoop (approx. ¼ C.) scoop batter into muffin tins and press tightly into the pan. Place into the freezer for 2 hours to freeze and then place each cup into a plastic bag for individual servings. Thaw slightly before eating. As a side note, you can also leave the chocolate chips out of the original recipe and melt them in a small dish with a little coconut oil to drizzle over the bars/cups before freezing. I’m all about easy and the original recipe is less messy for kids (and husbands) to eat on the go. Lastly, this recipe doubles beautifully! Start a Summer Book List! So with all of this new-found free time, I have been relishing the idea of catching up on my reading. Summer always affords me more time to read since we don’t homeschool over the summer months and there is something magical about whiling away an entire evening on the back porch, lost in a good book. Ahhh, I can almost hear the crickets now!